The relationship between human beings and their gods lies at the centre of all questions of identity, individual and collective. 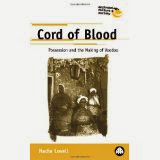 Nadia Lovell examines how religious feelings reflect notions of personhood and belonging, and how religious involvement can transform gender relations, by focusing on cults of Vodhun (voodoo) possession among the Watchi in Southern Togo. Using this detailed ethnographic study as a point of departure she offers a fascinating insight into the complex interplay between religion, gender, ethnography and globalisation. Lovell argues that the relationship of men and women to the Vodhun is one of mutual dependency: on the one hand human beings will gods to exist; on the other hand, gods embody themselves in human beings, especially women, through possession. Possession, according to Lovell, implies not only affliction, but the manifestation of creative potential through which women can express multiple identities -- a process through which concepts of gender are both confirmed and dismantled. Looking in particular at the role of the devotees, Lovell presents an enticing account which offers an important contribution to the study of religion, gender and society.